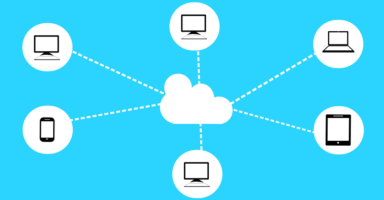 Providing IT Solutions to the SMB Market. Are You Happy With Your IT Service Provider? • Constantly Having Network Issues? • Spending Too Much Money And Time On Computer Support Services? • IT Service Provider Not Very Responsive? • Server Goes Down During Business Hours Affecting Employees Productivity? • Slow Internet Connection? • Backup Not Running? • Telephone System Is down? These are some of the problems that successful companies like yours encounter each and every day with their current IT service provider. Unlimited Help Desk Support, Unlimited Onsite Support, Server Management, Backup Management, 24/7×365 Network Monitoring. Unified Solutions, Office365, Hosted Exchange Services, Hosted PBX VoIP, Cloud Server, Microsoft Azure, AWS, Backup Solutions. Complete Network Monitoring And Management, Firewall, Router, Switches, UPS. Network Connectivity Troubleshooting, Infrastructure refresh planning and installation, Office Wiring and Testing CAT 5E CAT6. 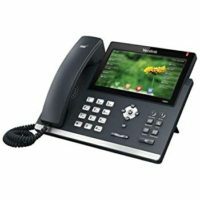 Save 40%-50% On Your Current Office Phone Bill, Over 90 Calling Features, Secure, Cost Effective, Portability, Increase Productivity. Safeguard your business and property with a state-of-the-art surveillance system. 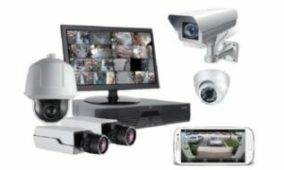 Choose from our range of high-quality HD CCTV cameras with installation services. 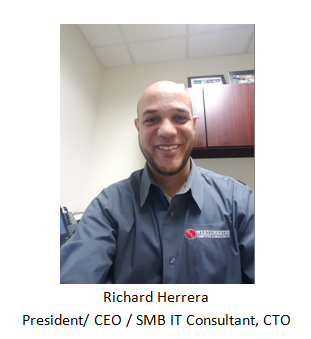 Our founder Richard Herrera brings over 15 years of technical experience to the SMB market. Having worked in different vertical market from banking financial services to education, allowed him to bring expertise and technology solutions to the industry that meets regulatory compliance. 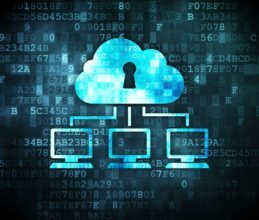 Our company provides a complete suite of onsite IT Services and remote managed solutions to the market at a competitive rates. We have established a nationwide technical workforce combined with our in house support, we are able to respond to customer requests and deliver resources faster to your location, by providing a custom tailored solution based on your company’s need. WCC have helped organizations perform better and become more creative, productive and competitive. We are best known for our expertise, performance and knowledge in IT Services, IT Consulting, Data Management, Storage Management, IT Services, Field Support, Hardware/Software Repair and Installs, Rollouts, Infrastructure Management, Systems Integration, Cloud services, Virtualization, VoIP, WiFi Architecture and Managed Print Services. As a Managed Service Provider we succeed when our clients succeed, we work hard to help you grow your company by partnering as your technology company. Our mission is serve as your technology partner with a focus on providing high efficiency solutions. By using a proactive approach to evaluate your business and technology needs, we can advice you on the best solutions for your current and future needs. 24 x 7 Network Monitoring against threats and system failures. Engineers will respond to network alerts remotely and begin working on the problem even if at 2am. 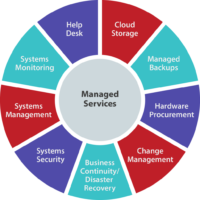 Established SLA With Managed Services. ✔Reduce Labor Cost And Reduce Risk. ✔Improve Employee Productivity And Performance. ✔Trained, Experienced and Certified Technicians. 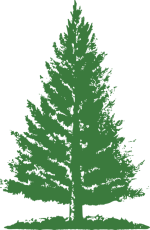 “The Westchester Computer Consulting team has helped our company in several occasions with our computer network. I can sleep with no worries knowing that my network is being monitored remotely 24/7 by the engineers and their fast response when needed. We will continue to use WCC services for many years to come”. “It’s been a pleasant experience to work with Richard. He has excellent communication and troubleshooting skills, and always been willing to work with engineering team to resolve all issues and complete all projects. Highly recommended Richard’s work". More Than 300+ Happy Customers. © Copyright 2018 WCC, All Rights Reserved.